It is clear from the autograph manuscripts and early printed editions of these solo sonatas that, in this case as well, Handel made plentiful use of the recycling procedure so typical of him. 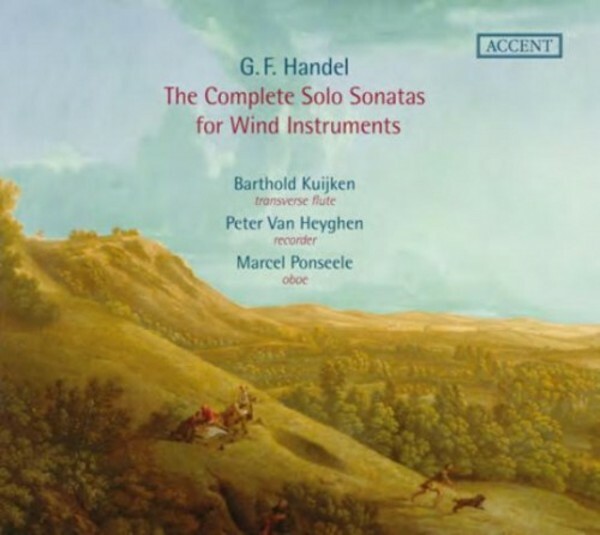 Many sonatas exist in versions for various wind instruments as well as for violin, which in some cases differ in their respective keys and number of movements. It is also striking that many sonatas were reworked in later printed editions so that they would be playable on the transverse flute, an instrument that was becoming ever more popular in England at that time. The Accent label has now compiled all the solo sonatas for woodwinds on a double CD that also takes the different versions of the pieces into account. The soloists are proven experts in their field.